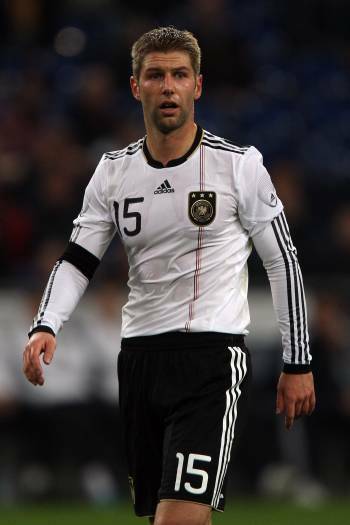 West Ham have announced the free transfer signing of Thomas Hitzlsperger on a three-year deal. The German international will officially move to Upton Park when his current contract at Lazio expires on July 1st. “I am delighted to welcome Thomas to the club. We had to move quickly to secure his services when he became available, especially as there was understandably so much interest in him from around Europe and back in Germany. I am especially pleased that he is excited by what we are trying to achieve here at West Ham. Hitzlsperger has won over 50 caps for the German national side but missed out on a place in Joachim Löw‘s World Cup squad this summer. Hitzie could’ve taken Ballack’s place in the squad I reckon. Very good and experienced player.